If you're looking for your next chef job or seeking a waitressing position, then Scattergoods agency can help you. We supply staff to fill all levels of temporary and permanent hospitality jobs. Whether you are looking for pastry chef jobs or filling waitress jobs, we can help. We provide all levels of chefs, kitchen assistants and waiting staff to a wide range of clients, from hotels and fine dining restaurants to golf clubs, event caterers and office canteens. As a family style business, we aim to build strong relationships with both clients and candidates. We work in partnership to ensure that we can make the best matches between applicants and vacancies. All of our team of consultants have previously worked in front of house or catering jobs. This means we have an in-depth knowledge of the specific requirements of each vacancy and can provide an informed, professional and prompt experience. If you are looking for employment or have a position to fill, please get in touch. We are always ready to provide general information or discuss your requirements in detail. 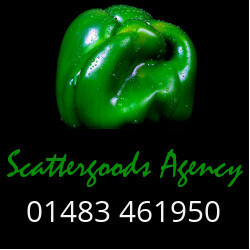 Visit out Scattergoods Agency website or visit our Catering Jobs board.